Photos from Steemfest - #3! This is my last "photos from Steemfest" post! I hope you guys have enjoyed not only seeing some of my photos, but hearing my memories from the event. I know these aren't the clearest photos - but I hope you can still feel the energy and vibe of the event. There are so many more awesome people that I guess I just didn't grab photos with - but here is my third and final mega photo post. I hope you guys enjoy. It was SO amazing to finally meet you @nanzo-scoop! You were definitely top of my list for people I wanted to meet at Steemfest, and so I'm glad we got to chat a few times! In your videos you always seemed super calm, cool, collected, smart and fun - and that was totally true of my experience of you in person. Already looking forward to the next time I see you at some crypto event! Ok...I stole this photo from @steemcafe. I haven't done that in a post yet- but I LOVE this shot from 90's karaoke night!! Had to include it. @nomadicsoul, @steemmatt, @jarvie, @dan-atstarlite, @jaybird. Oh yeah... that one time @nomadicsoul, @jayna and I totally creeped on @steemmatt, @joythewanderer, @mammasitta and @kevinwong while they were eating perogies. Well, I guess I must not be the worst Steemian if you took another photo with me @guyfawkes4-20. Sorry I haven't flagged you lately. Apparently I'm bad at this whole flag war thing. aww hanging with @jarvie at closing drinks!! This is probably the only normal looking photo we took. The rest got a little out of hand. Hanging with @felix.herrmann!! You are OG coruscate all the way my friend! Thanks for always being one of my most consistent commenters and engagers over the last year and a half! @flauwy!!! I'm so glad we got to meet at Steemfest - even if we never really had a chance to talk. You were one of the first people I followed when I joined the platform- and you actually welcomed me in my Introduce Yourself post if you can believe it! I'm so glad we are both going to Anarchapulco in February and I look forward to connecting with you more there! ahhhh this is one of my favorite moments from Steemfest! At closing drinks @for91days and I realized that we had the same flight from Krakow to Frankfurt the next morning. Even though we hadn't had a chance to connect yet - he and @guchtere offered to pick me up and head to the airport together. @for91days got us into the business lounge where we could enjoy a quite cup of coffee on a cozy couch and hang out. That moment was such a nice contrast from the craziness of Steemfest and still makes me smile! I'm so glad we've been staying in touch since then and I'm super grateful we had a chance to connect in those last few moments of Steemfest. Fangirling the @steembirds(@dan-atstartlite and @jaybird) before they took the stage for their big performance. Another fun shot from karaoke night! @redrica and I grabbing a group shot during the official group photo. Such rebels. I hope you guys enjoyed seeing these shots and hearing some of my memories from Steemfest! The Steem Sister Show Has a New Page! Hey - it was great to meet you in person also. You're just as advertised! Look forward to seeing you again in the future. In the meantime, keep up the great vids. Is it me or does it seem like we are in a few pictures together during these last 3 post. What can I say but M.J. & Larry Darry missed out. Hugs. Lol crap, I ALSO always forget the #s in JP's username...we should write a book about him called "The Lost Steemian." It will be only one sentence long lol. I'm SO glad you remembered to take more pics than I did! Just stealing all of yours for the memories haha. Your rebellious group photo is really good! aww it was so good to meet you @elizacheng!! It always makes me so happy to see steemians I've hung out with in real life, hanging out together. You... @jarvie hahaha @steemcafe and @daveonarrival. Cheers to you all! aww Scott!! We definitely missed you in Poland! Are you going to Austin? I hope we run into each other at another Steem meetup sometime! 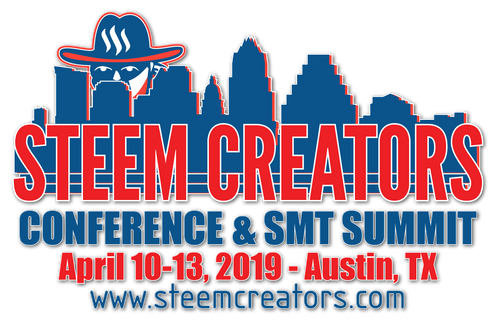 Austin is in the plans... Hope to see you there! Awww love this group pic one... I remember it now! It's funny because I don't think we actually ever got to have a proper conversation, but it didn't seem to matter at all, we were vibing from the start :) See you again soon Leah! Some things are meant to happen in a specific way. So happy you entrusted your airport transfer into our hands and that we got to meet and talk without distractions, hehe! The username is @jeanpi1908, btw nice pictures you took. I'm so sorry JP!!! I kept trying different numbers and I just couldn't remember... hahah I'm the worst roomie ever. Happy Friday. It must have been pretty exciting and tons of fun to be at SteemFest. Everyone looks very festive and enthusiastic. I hope you enjoyed it. Thanks for sharing your experience. Haha we don't exist on steem...but we exist in real life!